PwC press room: Quality of business reporting on the Sustainable Development Goals improves, but has a long way to go to meet and drive targets. 10% increase in businesses including Sustainable Development Goals in annual corporate or sustainability reporting. 50% of companies studied by PwC have identified priority Goals, but only 28% have measures linked to them. Nearly three quarter of organisations (72%) mention the global Sustainable Development Goals in their annual corporate or sustainability reports - an increase of 10% on last year, according to a new study by PwC. But concrete measures and integration remain elusive for many as organisations struggle to identify actions beyond business as usual targets. PwC’s study - From promise to reality - examines the corporate and sustainability reporting of over 700 listed companies across 21 countries and six sectors, to test on the integration of the Sustainable Development Goals into business strategy, planning and reporting. The Sustainable Development Goals (SDGs) were adopted in 2015, encompassing 17 goals and associated targets and indicators for success. They provide a roadmap to help organisations navigate the major environmental, social and economic challenges the world faces. It’s estimated that in terms of new business opportunities alone, the SDGs can potentially unlock trillions of dollars in revenue opportunities and cost savings and create hundreds of millions of new jobs. The study suggest that despite the SDGs being part of global business conversations for over three years, and a significant number of companies pledging a commitment to the Goals, there remains a gap between companies’ expressed intentions and their ability to embed the SDGs into actual business strategy and report on it. 72% of companies in the study mention the SDGs; the majority (60%) in their sustainability reports rather than in main financial or integrated reports. 50% of companies have identified priority SDGs. Only 28% disclose meaningful Key Performance Indicators (KPIs) related to the Goals. 27% of the total companies mention SDGs as part of their business strategy. Just 19% of CEO or Chair statements in annual reports mention the SDGs. The broad sectors of Technology, Media & Telecoms and Energy, Utilities & Mining lead other industries examined on mentioning the SDGs in their reporting. There is no change in the most popular choices in this year’s study of the priority goals - Decent work and economic growth (SDG8); Climate action (SDG13); and Responsible consumption and production (SDG12). In some cases it appears that companies report on SDGs that correspond to existing activities and metrics they are already capturing. 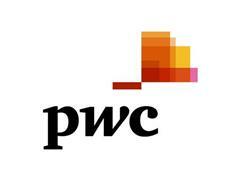 PwC’s researched reporting on the SDGs by 729 listed companies in 21 countries and territories, across six sectors. Central to the research is an analysis of whether companies are mentioning the SDGs in their reporting on business strategy, as we believe this is a key indicator of whether change is being made to the level and scale that will be necessary to achieve the Goals. This year’s research expands on our 2017 work to understand the SDG priorities of individual companies and analyse the quality of their SDG reporting. We have evolved the SDG Reporting Challenge to look at the largest listed companies from each participating country and territory and understand the trends in SDG reporting for the most influential companies in the world, including tracking performance on key indicators to allow benchmarking opportunities between sectors and countries and territories. Priority Goals identified: 1. Decent Work and Economic Growth (SDG8): 79% identified SDG8 as a priority. Targets include achieving higher levels of economic productivity through diversification, safe working conditions, technological upgrading and innovation and substantially reducing the proportion of youth not in employment, education or training. 2. Climate Action (SDG13): 67% prioritised SDG13 because of the need to work towards global and regional greenhouse gas regulations. 3. Responsible Consumption and Production (SDG12): 66% cite SDG12 as a priority. With this goal the targets offer companies clear direction in the form of substantially reducing waste generation through prevention, reduction, recycling and reuse. It also encourages large companies to adopt sustainable practices and to integrate sustainability information into their reporting cycle and to ensure that people have the relevant information and awareness for sustainable development and lifestyles in harmony with nature.